You can download the entire acupuncture meridian guide to your PC. Can acupressure handle emotional issues like anxiety and nervousness? Many people turn to energetic healing techniques like acupressure for relief of physical ailments. But what about our emotions? The good news is that energy healing techniques like acupressure work for more than just physical illnesses. In fact, some people might attest that they work even more quickly at solving emotional problems than they do at solving physical problems. In my experience, this tends to be true. This is because the emotions are directly tied to the spiritual energy system of the human body. When energy is imbalanced, negative emotions arise. And when energy is brought back into balance and proper flow, negative emotions subside and allow for emotional peace and happiness to flow forth. In fact, this entire premise is the basis upon when Emotional Freedom Techniques, an offshoot of acupuncture/acupressure theory, arose. The founder discovered that by tapping on acupressure points while adding in a few other steps as well, you could solve emotional problems in the mind. He later discovered that by solving emotional problems, physical problems tend to subside as well, sometimes drastically. But regardless of EFT, we are talking about acupressure. Although very similar in theory and nature, acupressure is different than EFT in that you simply press and hold pressure on the various points for a period of time. You do not need to tap the points like in EFT. Acupressure can be effective at ridding the mind of harmful emotions by balancing your meridian energy system. On this page, I'll share with you some useful acupressure points for getting rid of anxiety and fearfulness. You can also use these points for relief of acute anxiety attacks. 1. Triple Energizer 15, on the back of the shoulder, in the middle between the neck and the edge of the shoulder. 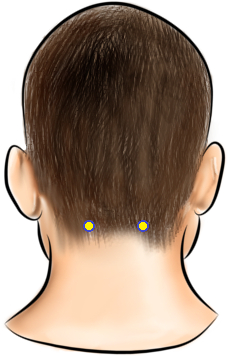 Use this acupressure point to relieve nervous tension in the muscles of the body, including stiff neck muscles. This point is also useful for boosting your immune system and performance of the lungs. 2. Bladder 10, found just one finger width below the base of the skull, slightly to the side of the spine. This powerful acupressure point will promote healing of almost everything related to your head. This pressure point relieves stress, emotional and physical exhaustion, and heaviness in the head. It also promotes healing of eyestrain, stiff neck muscles, swollen eyes, and even sore throats. 3. 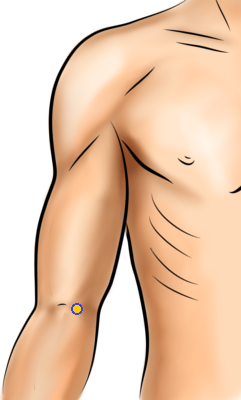 Pericardium 3, on the arm, right on the inside edge of the elbow crease when the arm is bent. Use this acupressure point to relieve distress in your stomach caused by nervousness. This point also relieves anxiety, as well as pain in your arm and elbow. It will also relieve discomfort in your chest caused by the anxiety. 4. Pericardium 6, on the inside of the forearm, in my middle of the arm, two and half finger widths below the crease of the wrist. Use this point to relieve nausea caused by anxiety. It will also help reduce your anxiety overall, as well as heart palpitations, and wrist pain. 5. Heart 7, found on the crease of the wrist, on the inside edge of the wrist. This pressure point will help remove all emotional imbalances in the body and mind. It helps get rid of fear, general nervousness, anxiety, and forgetfulness. 6. 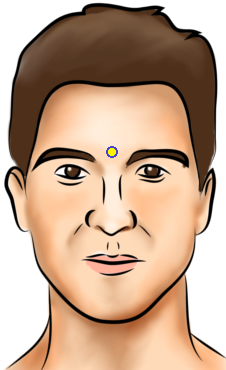 Governing Vessel 24.5 (between GV24 and GV25), on the face, directly between the eyebrows. Use this famous spiritual acupuncture point to calm the entire body and relieve nervousness. 7. Conception Vessel 17, on the center of the chest, found three thumb widths above the bottom of the breastbone. 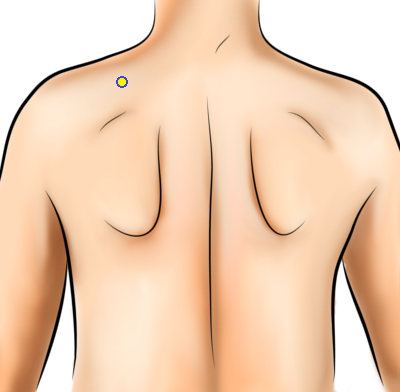 This powerful pressure point will relieve nervousness and anxiety, and chest tension caused by negative emotions. It also helps relieve sadness and depression, hysteria, and any other type of emotional imbalance. 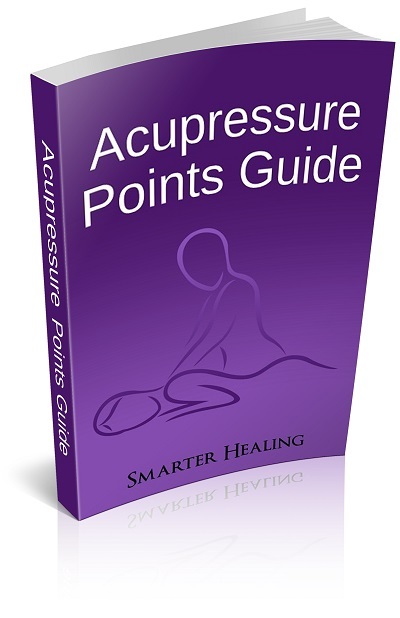 Click here to get the Acupressure Points Guide.